Preparing children for the ultimate success in everyday life. Wee Thrive is a fun place for kids to come, play, grow and learn. We provide a warm and friendly environment that offers physical therapy, occupational therapy and speech therapy services to children ages 0 through 5 years old. Therapy sessions are child focused and play-based so the children don't even realize they are participating in therapy. Our therapy gyms and treatment rooms naturally entice them to want to play. 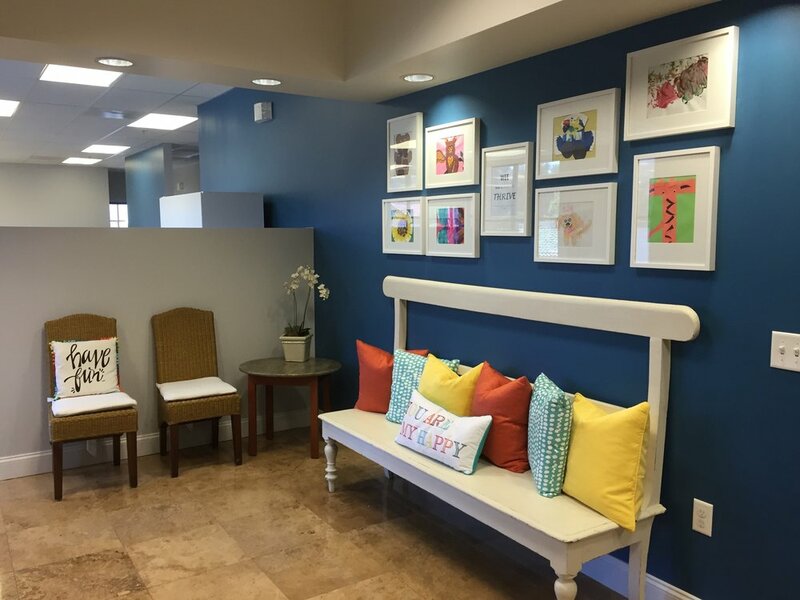 Our clinic has specialized equipment and treatment spaces that create an optimal therapeutic experience. At Wee Thrive, we provide individualized treatments with one-on-one sessions specifically designed to your child's needs. We are a family oriented center that is dedicated to providing the highest quality of care. We treat all of the children as if they are our own, with a positive approach to also impact their self-esteem and confidence. Our goal is not only to help the children thrive, but to help their parents and families thrive as well.